Lake Compounce: Amusement park in Bristol, Connecticut. Mystic Aquarium: Aquarium in Mystic, Connecticut. Mystic Seaport: Museum in Mystic, Connecticut. Mark Twain House: Historical landmark in Hartford, Connecticut. Maritime Aquarium: Aquarium in Norwalk, Connecticut. Quassy Amusement Park: Amusement park in Middlebury, Connecticut. Rocky Neck State Park: State park in East Lyme, Connecticut. Ski Sundown: Ski area in New Hartford, Connecticut. USS Nautilus: Historic submarine in Gordon, Connecticut. Wadsworth Atheneum: Art museum in Hartford, Connecticut. Connecticut Science Center: Science museum in Hartford, Connecticut. Hammonasset Beach State Park: State park in Madison, Connecticut. Wickham Park: Park in Manchester, Connecticut. Dinosaur State Park and Arboretum: Natural history preserve in Rocky Hill, Connecticut. Thimble Islands: Archipelago in the southeast corner of Branford, Connecticut. Yale University Art Gallery: Art gallery in New Haven, Connecticut. 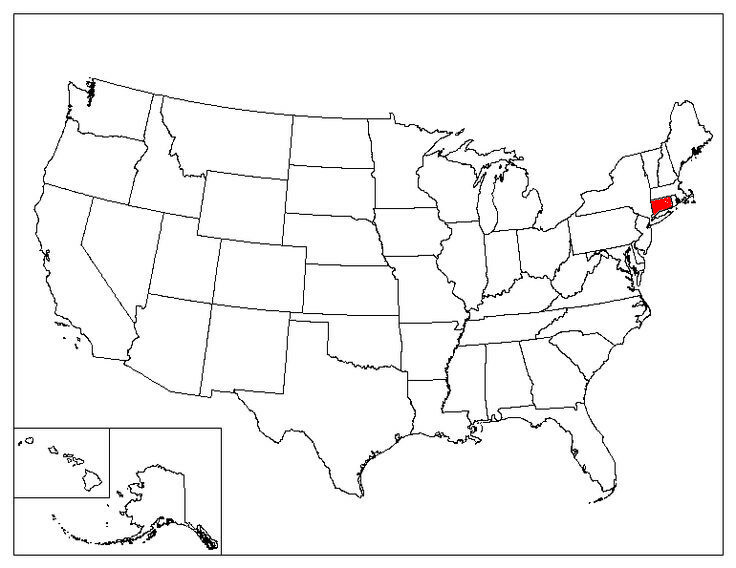 The State of Connecticut is named after the River Connecticut, the largest river in New England. 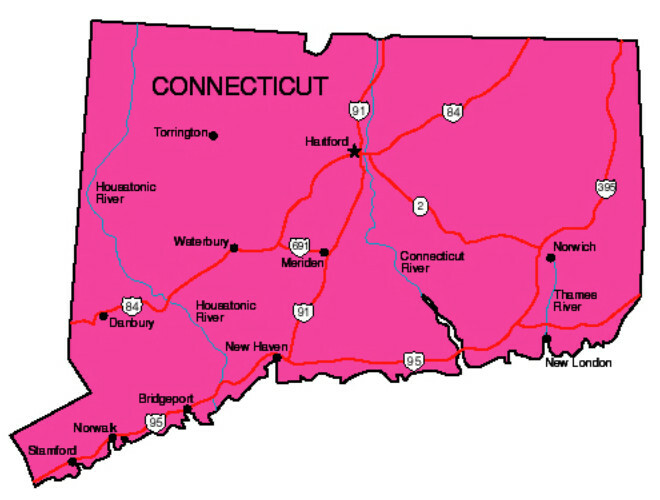 The word 'Connecticut' is derived from 'Quonehtacut', a Mohegan Indian word for "long tidal river." The first telephone book was published in New Haven on February 21, 1878. It consisted of a single piece of cardboard and included 50 names. Mary Dixon Kies of South Killingly was the first woman to receive a U.S. patent. She did so on May 5th, 1809, for a method of weaving straw with silk and thread to make hats. The Hartford Courant, based in Connecticut, is the oldest U.S. newspaper still being published. It started published as a weekly on October 29, 1764. The first automobile law was passed by the state of CT on May 21, 1901. The speed limit was set at 12 miles per hour in cities and 15 miles per hour on country roads. First Ph.D. Degree in the United States was awarded by the Yale University in 1861 to Eugene Schuyler, Arthur Williams Wright, and James Morris Whiton. In Connecticut, it's illegal to keep town records where liquor is sold. In 1908, George Smith put candy on a stick and thus invented the lollipop. It is named after a famous racehorse at the time called Lolly Pop. He trademarked the term under the Bradley Smith Company of New Haven in 1931. In 1889, the first public pay phone in the United States was installed by William Gray in Hartford. 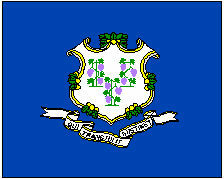 Connecticut is the only state with an official State Composer (Charles Edward Ives), State Hero (Nathan Hale), and State Heroine (Prudence Crandall).